This is a die-cut flange Wear U Well Shoes porcelain sign. 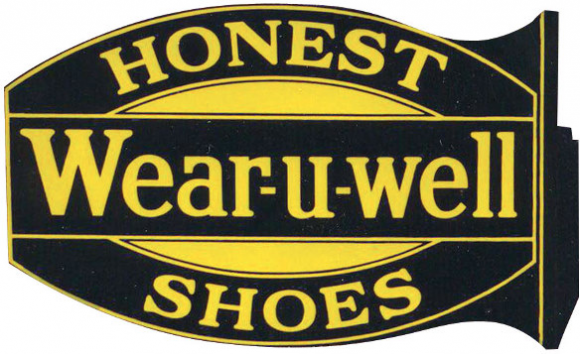 This particular Wear U Well Shoes sign is black and yellow. It reads, “Wear-U-Well Honest Shoes”.